Marvel just finished up their South By Southwest (SXSW) presentation where they announced a bevy of new digital initiatives. 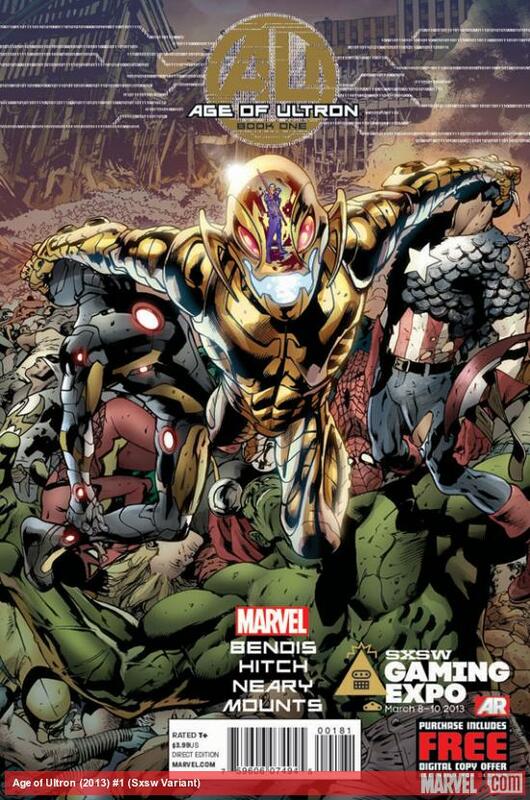 The big treat for comic collectors wasn't the news about the Marvel Gamma adaptive audio or the 700 free digital comics available for download, but rather the free copy of Age of Ultron #1 variant to commemorate the SXSW event. Age of Ultron features a fairly sizeable Spider-Man appearance, and this variant promises to be one of the rarest released. The Marvel team for the panel included Axel Alonso (Editor in Chief, Marvel Entertainment) and Peter Phillips (SVP & GM, Marvel Digital Media Group) among others. They both seemed genuinely happy and a bit surprised at the turnout for the presentation. By my count, there were a couple hundred folks there to hear the news Marvel had so deftly teased the weeks prior. The crowd was easily double, if not triple, the size from the previous year's presentation -- Marvel's first visit to SXSW. Axel let everyone know up front that the Age of Ultron #1 variant would be given away one per person after the speech for free as long as copies remained available. And they meant it. They announced they had a very small print run of around 200 copies, and that many of the team at Marvel headquarters wouldn't even be able to get a copy. As Axel started unpacking the single box of variants comics, it was clear they were right and it was not going to come close to satisfying the hungry crowd of hundreds standing in line both inside and outside the exhibit hall. 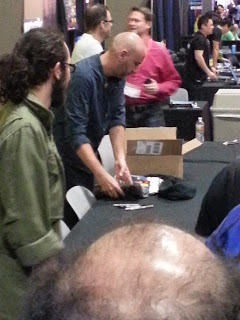 I made it to about tenth in line, and watched as issue after issue got autographed by the Marvel team. I respectfully asked for an unautographed copy because I've always shyed away from signed comics. As a collector, I guess I'm a purist. My estimation is that not very many of the comics will end up pure and unsigned. The event was great. Marvel packed a ton of news and video clips into their hour-long session. And it was really great to get Marvel's involvement at SXSW. I hope they show up again next year. And good luck finding a copy of this variant. As of yet (the afternoon following the event) no copies have shown up on Ebay, but I would guess they will eventually.